Several Democrats are critical of a tax reform package proposed by House Republicans that does not offer an approach to fund big-ticket infrastructure projects, even as a top Republican senator signaled support for the White House’s recent backing of higher fuel taxes. Republican leaders say they will take up the tax reform measure as early as this month. After the tax overhaul reaches President Donald Trump’s desk, GOP leaders plan to proceed with other legislative priorities, such as identifying long-term funding for the country’s infrastructure. Buzz about funding large-scale infrastructure projects intensified in recent weeks after Transportation Secretary Elaine Chao said the White House would pivot to an infrastructure bill after the tax code is reformed. And in a recent visit with policymakers, Gary Cohn, the administration’s top economic adviser, suggested a willingness to consider increasing taxes on gas and diesel fuel to pay for projects along freight corridors. But, Democrats advocating for additional dollars to upgrade the transportation system said a tax reform package that does not dedicate funding for infrastructure would complicate the path forward for an infrastructure funding bill during Trump’s first two years in office. 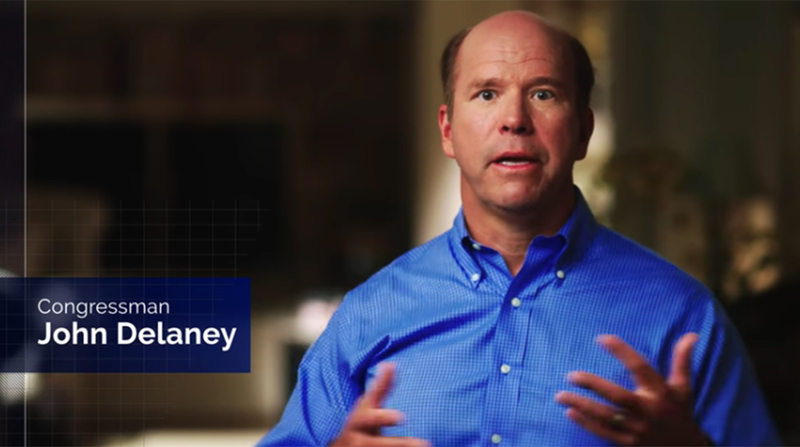 “If they do jam through tax reform without any new funding for infrastructure, then they might as well put up a flashing billboard on the [National] Mall that says, ‘there won’t be any infrastructure bill,’ ” Rep. John Delaney (D-Md.) said Nov. 1. A presidential aspirant in the 2020 elections, he is advocating for establishing an infrastructure bank partly through repatriated overseas earnings. Meanwhile, Democrats, such as Sen. Tom Carper of Delaware and Earl Blumenauer of Oregon, continue to advocate for raising federal taxes. Since 1993, the federal tax on diesel has been 24.4 cents per gallon, while the tax on gas has stayed at 18.4 cents per gallon. Talks about infrastructure funding came to the fore after Cohn told lawmakers in October the White House had yet to rule out increasing taxes on fuel to fund infrastructure. Cohn’s widely reported sentiment opened the door slightly for the possibility of approving a traditional funding approach strongly backed by freight stakeholders. Sen. John Thune (R-S.D. ), chairman of the Commerce Committee, said in published reports that he had not ruled out supporting a fuel-tax increase, putting him at odds with fellow leaders in his party. For instance, Senate Majority Leader Mitch McConnell (R-Ky.), Chao’s husband, has not supported increasing fuel taxes. Also, Thune’s counterpart in the House, Transportation and Infrastructure Committee Chairman Bill Shuster (R-Pa.), has been adamant about his view that the federal tax on fuels is regressive. Shuster has called on stakeholders to be ready to accept alternative funding options, such as asset-recycling and public-private partnerships. Groups, such as the National Association of Truck Stop Operators and American Trucking Associations, have long viewed federal motor fuel taxes as the tool to generate immediate funds for the freight transportation system. A tense political climate on Capitol Hill challenges Republican leaders’ ability to advance a tax reform package, let alone a long-term infrastructure plan after that. For trucking and other modes of transportation, the strategy should remain to continue pressing for additional transportation dollars, ATA President Chris Spear told Transport Topics. As a candidate, Trump promised to unveil within his first 100 days in office a $1 trillion, 10-year funding proposal to Congress. Details of the plan, as revealed in the president’s fiscal 2018 budget request, would call for $200 billion in federal spending to incentivize private sector investments totaling $800 billion.